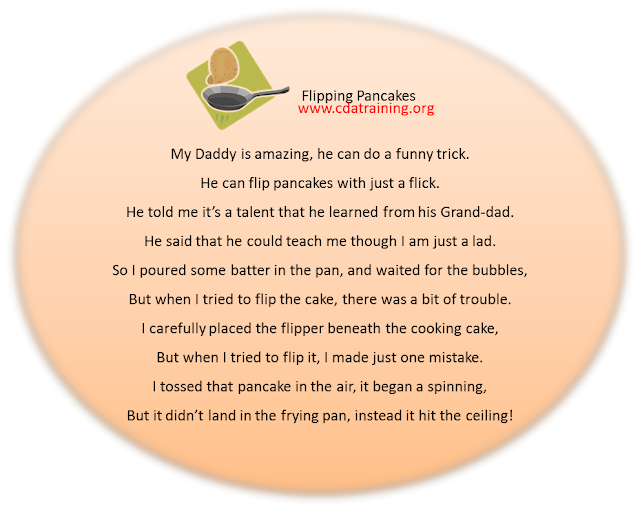 Child Care Basics Resource Blog: Flipping Pancakes Game! Here is a fun game that requires practice and mastery, FLIPPING PANCAKES! Read: Pancakes for Breakfast by Tomie dePaola. This is a wordless picture book about an old woman trying to make pancakes for breakfast. Materials needed: A brown vinyl placemat (it has the right weight for flipping), scissors, 2 pancake flippers (wide). Directions: Cut out shapes of pancakes large enough to flip. 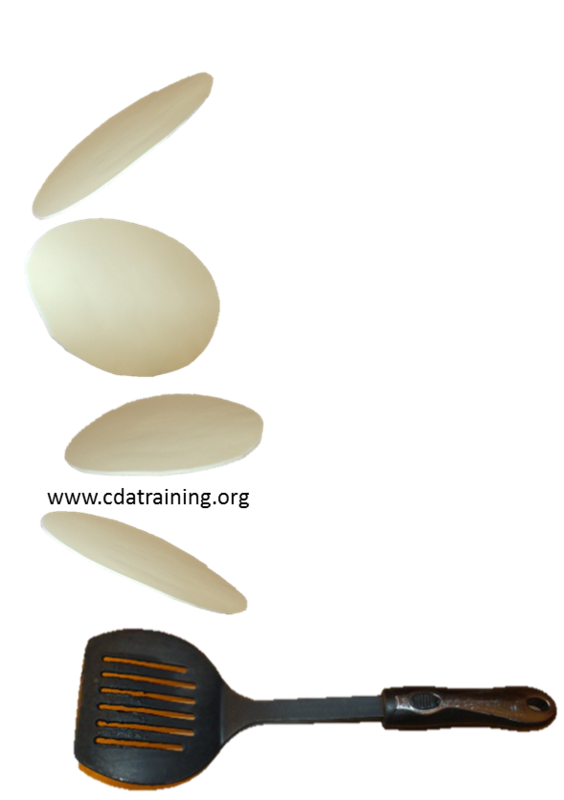 Let the children have plenty of space to do this activity and prepare for giggles.